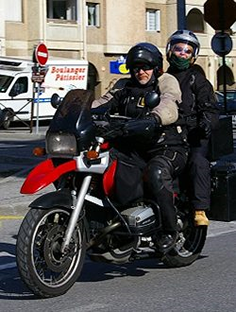 Europe – The Federation of European Motorcyclists Associations FEMA reports that during the summer they carried out mobility tests in various European cities using a combination of different modes of transport. FEMA’s conclusion is that if you want to save time and money – use a bike! However London as a major European city is not included in this mobility test which is surprising considering its size. Right To Ride would have welcomed the opportunity to get Belfast as a capital city involved with all modes of transport – motorcycle, moped, car, public transport and bicycle. This in consideration of riders access to bus-lanes, the Network of cycle lanes, car sharing parking and the public transport network that is being stimulated and promoted and the potential of future dedicated free parking spaces for riders in Belfast city centre – and we love a challege! Save time and money: use a bike! Powered Two Wheelers – scooters, mopeds and motorcycles – can make a huge difference to improve mobility in Europe. This summer, the Federation of European Motorcyclists Associations FEMA, made tests in European cities with different modes of transport. The results from 14 European cities are crystal clear- if you want to save time and money, use a PTW! A switch from cars to PTWs would also reduce congestions and give financial benefits to the cities. Work is a huge part of our lives and commuting to work takes more and more time due to congestions. More than 60 % of the population in the European Union lives in urban areas. The European cities are expected to grow with an increased demand for personal transport for commuting. Many urban areas of Europe are chronically congested, which means an annual cost of € 100 billion per year! To FEMA, the PTWs are an obvious choice of transport in cities, but not to other stakeholders. In order to investigate the difference in transports, FEMA asked member organizations in Europe to take part in a mobility test. 15 cities in eight countries participated in the first pan European mobility test ever. The rules were easy: use different modes of transport – motorcycle, moped, car, public transport and bicycle if possible. Start at the same time from a set place in a suburb and head for a goal inside a European city. Find a time keeper to collect the results. Take photos from the test. Send the results to FEMA. The result is crystal clear all over Europe. The motorcycles and mopeds made the journeys faster in every city. The average speed for motorcycles and mopeds compared to cars is higher in almost every city. Bicycles took part in the tests in Basel, Lausanne, Dublin, Marseilles, Antwerp and Brussels. The bicycle who took part in Antwerp only spent nine minutes more than the car to travel 22 kilometers! The bicyclist in the city of Marseilles was actually faster than all other modes of transport, due to a bicycle lanes and experience. 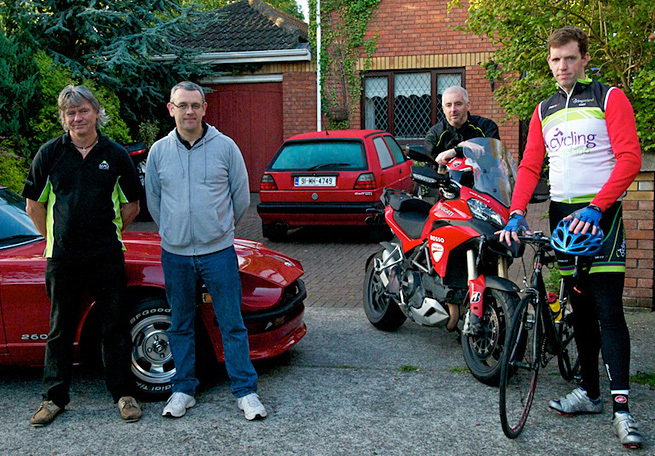 The biggest differences between the motorcycle and the car was 38 minutes to travel 29 kilometers in Oslo, (27/ 65 minutes) and 48 minutes to travel 19 kilometers in Dublin (27/75). If you choose to ride a motorcycle instead of drive a car in Oslo, you would save more than one hour every day! The fact that all motorcyclists have access to bus lanes in Oslo, also gave the rider a safe and pleasant journey. The rider in Dublin saves more than 1,5 hour per day compared to the motorist. The cost for the journeys, parking and tolls was also compared. Motorcycles and mopeds used less petrol compared to cars. There were no costs for parking motorcycles and mopeds in most cities compared to cars which had to pay up to €25 to park one working day. Cars must also pay toll/congestion tax in Stockholm and Oslo where motorcycles and mopeds are excluded from the city toll. The PTW-riders spend less money commuting compared to motorists. The mobility test proves that powered two-wheelers can contribute to improve mobility and reduce congestions all over Europe. Individuals would spend less time and money commuting to work if they use a PTW. A switch to PTW is also profitable for society as a whole, which has been stated in several studies. It would be easy for the European cities to promote PTWs and improve safety to a low cost, for example by allowing filtering, give access to bus and taxi lanes, open dedicated parking space for PTWs and exempt PTWs from congestion charge. Visit the FEMA website for all the tests reults – Cities overview – Video from the mobility test in France/Island of Réunion – Video from the mobility test in Italy/Rome – Video from the mobility test in Norway/Oslo – A report on the mobility test in Ireland – A report on the mobilitytest in Oslo.